The outgoing commander of U.S. Naval Forces Central Command (NAVCENT), Vice Adm. Kevin M. “Kid” Donegan, accused Iran in a recent interview of providing advanced weapon systems to the Houthi Rebels in Yemen. It is not news that Iran is supporting the Houthis in their rebellion against the central government of Yemen as part of an unconventional warfare campaign aimed at reducing Saudi influence in the region. It is by now well known that they have been smuggling illicit weapons and technology into Yemen for the last several years. Saudi Arabia and other Gulf states have been repeatedly accused Iran of providing arms helping to fuel the civil war in Yemen, including assisting the Houthis, rebels from the country’s north, to oust the government from the capital of Sana in 2014. It is not as well known or conclusively proven that Iran is providing the Houthis with advanced weapons technology and the training needed to employ it. But as the top American admiral in the Middle East, Admiral Donegan should know as well as anyone. Admiral Donegan asserted that the arsenal Iran has bestowed upon the Houthis includes anti-ship cruise missiles, ballistic missiles, sea mines and explosive boats. Iranian-designed explosive ships have attacked allied ships in the Red Sea or Saudi territory across Yemen’s northern border. The US, the Yemeni government and their Gulf allies have retaliated with strikes of their own and recaptured some coastal areas from the Houthis. But Admiral Donegan pointed out that the danger is not gone. The US and other Western states have provided enormous quantities of aid to the Yemeni government, including weapons, However, this aid is offset by an apparent Iranian “weapon pipeline, extending from Iran to Somalia and Yemen, which involves the transfer, by dhow, of significant quantities of Iranian-manufactured weapons and weapons that plausibly derive from Iranian stockpiles,” according to a report from Conflict Armament Research. This weapons pipeline stands in violation to a series of international sanctions prohibiting Iran from exporting arms. According to information from the United States Navy, US and allied warships interdicted four Iranian dhows between Sept. 2015 through March 2016 involved in the illicit transfer of arms. 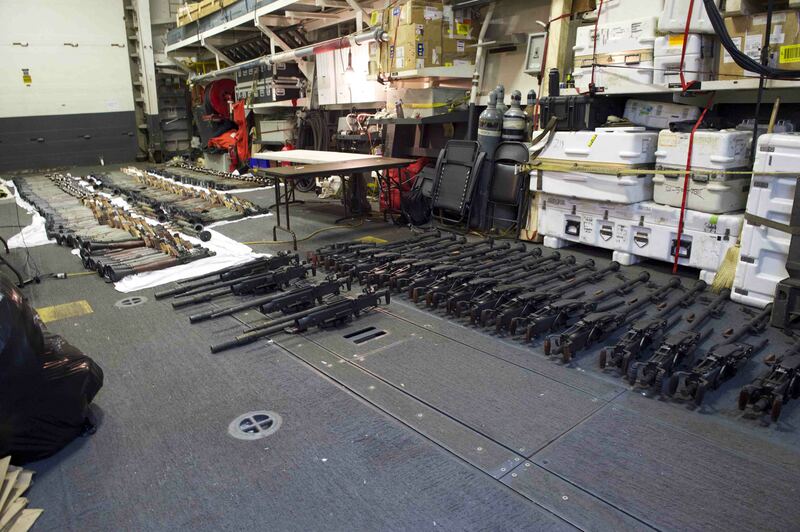 The cargo aboard the ships included more than 80 antitank guided missiles and 5,000 Kalashnikov rifles as well as sniper rifles, machine guns and almost 300 rocket-propelled grenade launchers. 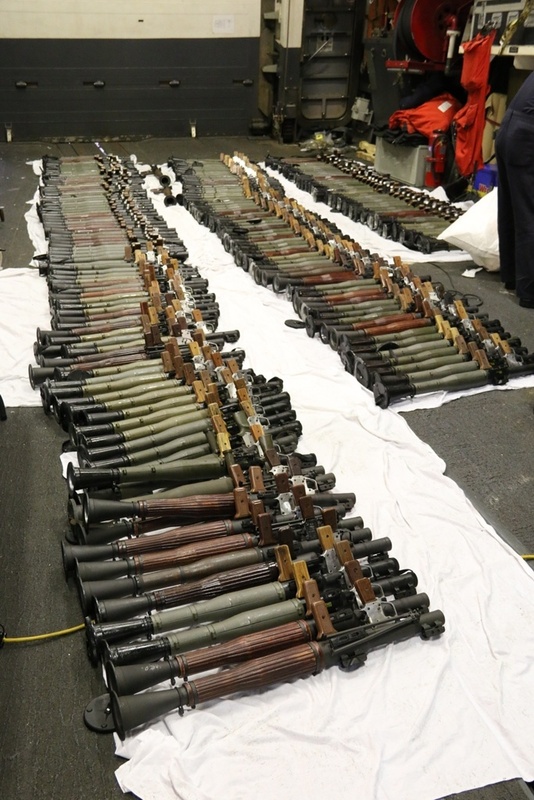 Other weapons, seized by UAE in Yemen, include a 2015 Iranian manufactured Dehlavieh anti-tank guided weapon (ATGW) and a Russian 9M133-1 Kornet ATGW with a serial number from the same lot as those seized in March 2016 at sea. This provides strong evidence of Iranian involvement and the intent of the dhows to deliver the weapons to the Houthis, regardless of Iran’s denials. Additional evidence can be found in the manufacturer of the dhows themselves. At least two of the dhows interdicted were built by Iranian shipbuilder Al Mansoor, whose ships are have been involved in smuggling drugs and weapons in the region since at least 2012. These ships are known to have regularly transited through three ports in northern Somalia that are often used as transshipment points for onward movement to Yemen. Transfer of this illicit cargo from the dhows to smaller vessels helps to conceal the shipments and mitigate the losses in the case of interdiction in route. 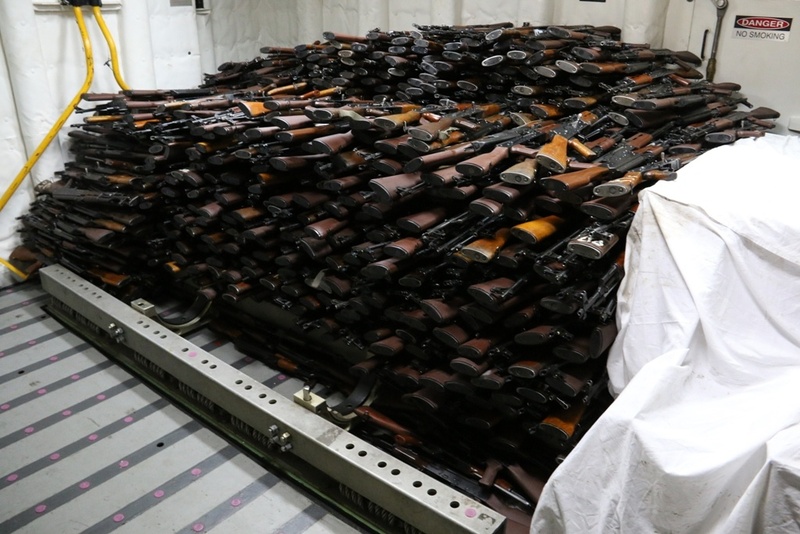 In the end, these seizures likely represent a small proportion of the arms shipped during this period, and improvements in Iranian smuggling expertise since 2016 have allowed it to avoid further seizures.